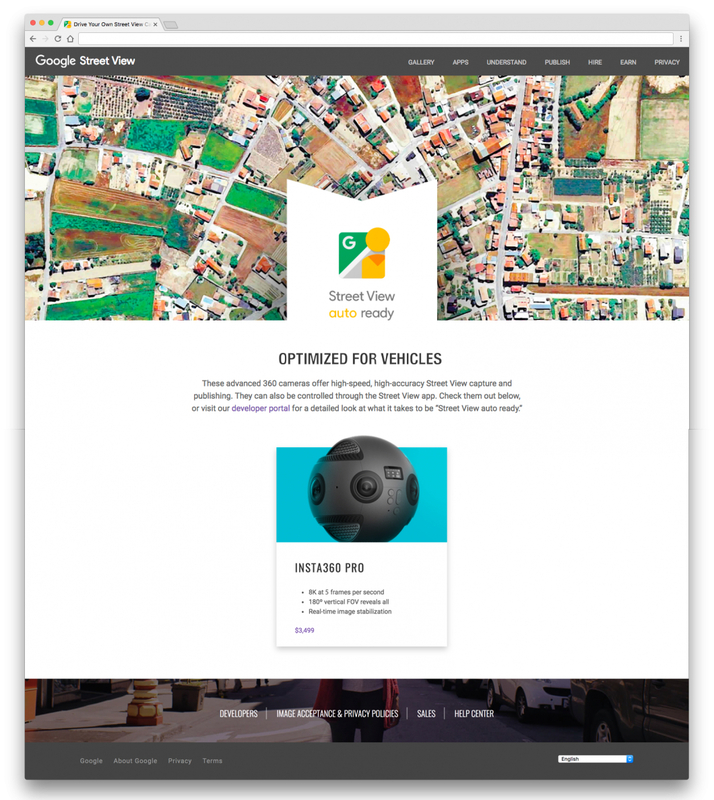 You can contribute to Street View if you have the 360-degree cam. You no longer need a Trekker if you want to help capture Street View experiences. Google has certified the Insta360 Pro as the first "Street View auto ready" camera, allowing anybody who owns one to contribute 360-degree images to Google's immersive street-level map. You'll be able to control the camera mounted on top of your car through the Street View app and to upload your footage straight from Insta360's Stitcher software. To show its support for the program, Insta360 will add a 5 FPS 8K shooting mode optimized for Street View collection. It will even release an optional USB accessory that can automatically attach GPS data to footage the camera captures. Insta360's addition to the Street View-ready program will give Google access to roads and remote locations -- such as Faroe Islands, where it had to strap cameras on sheep -- it might not be able to go to otherwise. As TechCrunch noted, though, the camera will set you back $3,499. It's not the most expensive 360-degree camera, but it could still make a sizable dent in your wallet. If you'd like to help but can't afford to buy an Insta360 Pro of your own, check out Google's Street View loan program. The big G is lending out some cameras to qualified photographers, travelers, tourism boards, non-profits and a variety of other organizations.